Homemade Onion Rings with a spicy coating are perfect as an appetizer, snack or to go with your burgers. 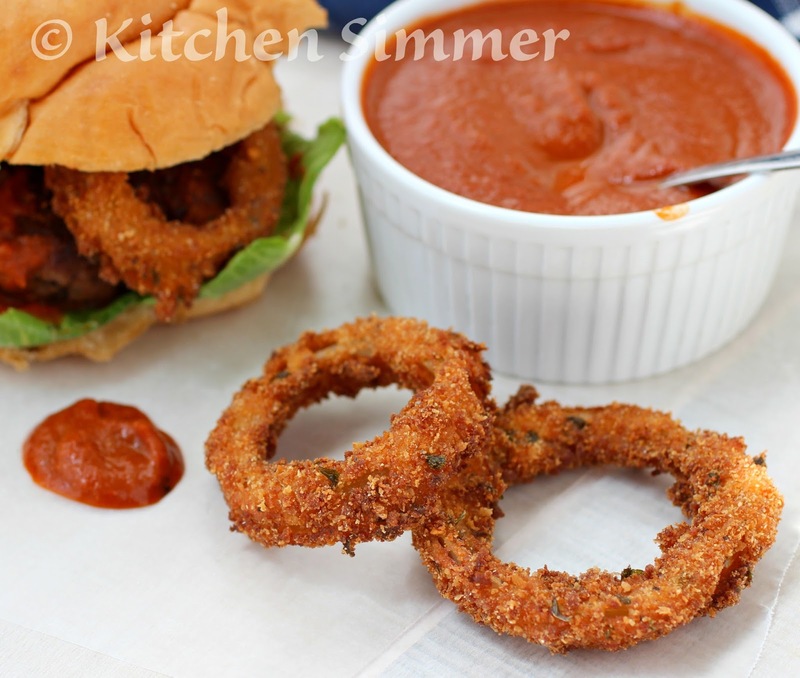 My kids adore onion rings... I think they get that little infatuation from me! If we see them in the grocery store, they plead with me to buy a bag. Of course, I buy it and then I'm usually disappointed because the bag probably has about one onion worth of rings inside and the rings definitely do not taste as good as they look on the package. 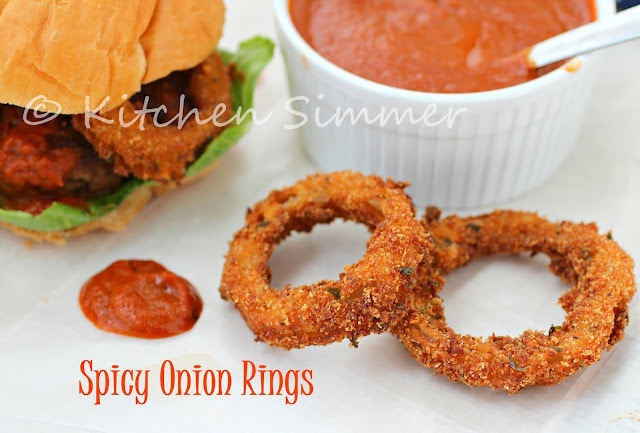 So, I decided to make my own version of spicy onion rings and they were a big hit. Now my kids are only pleading with me to make homemade onion rings and the store rings are left there... at the store. My acid relfux may kick up after these but I think they may be worth it!